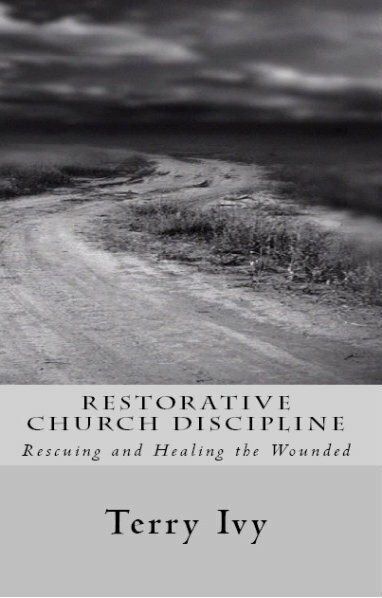 My latest book, “Restorative Church Discipline: Rescuing and Healing the Wounded,” just became available in paperback. In this book we take an in-depth look through the biblical steps in reaching out and rescuing those overtaken in sin. It is time, as believers, that we stop shooting our wounded and begin caring for our brothers and sisters who are hurting and abandoned in their sin. This is not a theoretical book. Instead, we walk through each step, explaining their ramifications, looking at the pitfalls, and giving insight from Scriptures. The information in this book comes out of practice, not out of detached doctrine. During 30 years of ministry I’ve witnessed many believers and churches get damaged because of the lack of genuine care to restore them to Christ. Biblical accountability is one of the great watersheds in our day. If you’ve ever wondered about the ‘how to’ of employing Restorative Church Discipline, or the responsibility to reach out to those fallen into sin, you’ll gain many insights from this book. We cover many topics relating to reaching out to those wounded in sin. Some of them are: love, judging, forgiveness, grace, etc. There is a chapter on how and why churches abandoned accountability. Also, there is an appendix covering how the American churches adopted democracy as their church polity instead of the the biblical pattern of plurality of elders. In short, this book is more than instruction. It is a call for us to embrace our Christian responsibility to love our brothers enough to reach out in the ditches of life and restore them to liberty in Christ. If we belong to Him…we can do no less! It is available for Kindle on Amazon, and early readers can get their paperback copy from the publisher by clicking this link.